Have you ever wanted your students to make a video for a class project but felt uneasy about the laborious process and the amount of class time it would take to accomplish this task? Fear not! Animoto is here to save you time and still give you the video your students can enjoy and share! Animoto utilizes “MTV Style” editing to show brief clips of a specific subject or theme set to music. This is perfect for gleaning the main elements of a novel or chapter you just read in class. Tell them that their audience will be next year’s incoming class and they have to convince them that this novel will be an amazing read! Just like film directors would do with a summer blockbuster. If you want to stretch out this assignment and go a step further, visit http://www.bighugelabs.com/flickr/ and you can create movie posters for the novels. i. You see what is happening here…Students are creating a product that requires them to use prior knowledge and also display that knowledge in a creative manner. As a teacher, you can show these videos on the first day of class next year. You can print out and hang up the movie posters of the novels on your bulletin board. Creating Animoto Videos in other Disciplines! At the beginning of the Vocabulary unit have go over the list of words with your students as you normally would at the beginning of a unit. Have students define words, provide proper parts of speech and provide sentences (maybe 3 to 5). Once the videos are created, the teacher will present the videos to the class and will serve as a brief review for the upcoming Vocabulary quiz. This would be a flashy way to introduce a new formula or problem. You can take the above examples and apply it to your discipline. For History teachers the possibilities are endless. Students, with assistance, can find images of kids raising their hand in class. Students and teacher can assemble the images and even take a photo of the child performing the task, and compile them into an Animoto video. Again, this is another practical, easy to use application that every teacher and student can use. I hope this idea has helped to bring technology into your classroom and look forward to hearing how you are using Animoto in your classroom! The Summer is for Reading! As the temperatures begin to heat up in classrooms around the country, I felt it was a good time to discuss summer reading lists! Personally, I found this exercise to be a waste of time and resources. Plus, students were only assigned to read one book! ONE! I know some districts have reading lists that students can select from or offer free personal pan pizzas when you finish a book…BOOK IT! (clap if you remember!) What a great way to educate and fatten at the same time! Go America! In order to make summer reading an effective tool in our academic arsenal, we need to first define what we want our students to gain from their summer reading lists. The obvious answer is to get them reading during their summer long down time. That’s the wishful thinking response. Other responses might include preparing students for the initial unit next fall, introducing a theme or simply to expand their world view on books teachers cannot fit in during the school year. While all these examples are practical, there is no checkup through out the summer and no way of collaborating. Why is there not summer reading for every subject? What is our objective and end goal for reading in the summer? Why is there not summer reading for Faculty and Administration? Now some of you may work in districts that can answer all of those questions with specific examples of how your district has integrated summer reading programs, but I am here to provide an answer to all of the above through two free web applications. If you are unfamiliar with these applications let me briefly explain what they can do. Enjoy! Create a class group and assign a reading list for the summer. Teacher can create a rubric for discussion posts. Use the online discussions as an icebreaker for the following year or segue way into the first unit. Include parents in on the summer reading fun! Parents can read along and include their thoughts on the books! If students do not have computer access it will give them a valid excuse to visit a library (shiver! ), Internet café or school districts could (if available) laptops for the summer. Create a group for cross-curricular reading, i.e. Language Arts and World History. Create a faculty reading group! This is a great way to share good reads (pun intended) concerning education. Most of us take courses throughout the year and are introduced to various new books on our craft. Every teacher should have a good reads or shelfari page! Make reading interactive and fun! Like Facebook! Hope this helps and I would love to hear ideas and feedback on how your district is approaching summer reading this year. Power Who? Power What? Power Point! Googledocs is better as it is more collaborative and allows the easy use of Youtube videos. Slideshare is merely passable as you lose all music, animations and video. At that point you might as well output your ppt as jpegs and drop them into a java slideshow which is essentially what slideshare seems to do. While this author makes a valid point about the collaborative nature of GoogleDocs and the ability to embed video and animations, he fails to miss the – get ready to LOL at this intended pun – point of the intended nature of my students’ powerpoint. For the project I assigned above, my students were only allowed to use images and brief text to convey their idea. 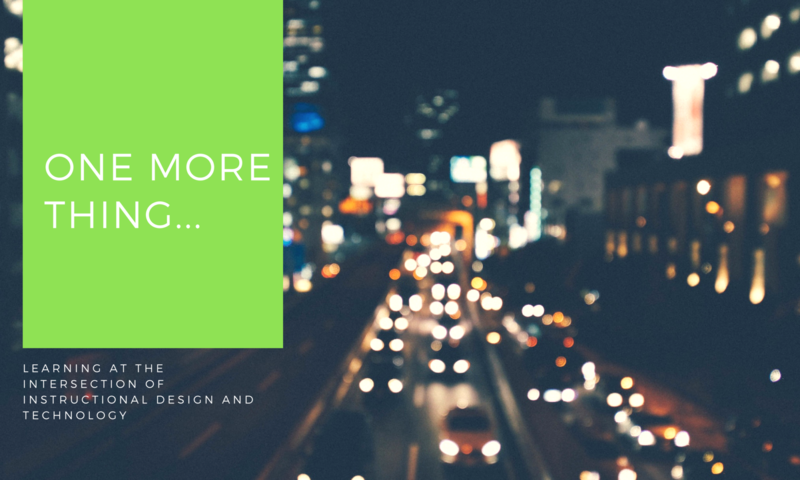 When you rethink the idea of a powerpoint what does a video, massive amounts of text and neat animations provide an audience anyway? If you are presenting it is YOU who is presenting the information, not the powerpoint. If you embed YouTube videos and animations then you might as well tell your students to create an imovie and let the students sit back and watch while the presenter joins in the viewing. I want my students to be thorough with their research and knowledgeable presenters who can think on their feet and are well versed on what they are presenting. I alway show the first few minutes of Al Gore’s movie, “An Inconvenient Truth” to help students understand what a good presentation looks like. The presentation should be the backdrop to the presenter not overly animated and visually distracting. Nothing against Googledocs, but when you want students to PRESENT and not ENTERTAIN then have them use slideshare! If your students are presenting on hieroglyphics, which slide looks better to as an audience member? Which slide intrigues you more? Which slide requires more presenter involvement and knowledge? When I am sitting back in the audience grading a presentation, I want to see slide #2! I have created – back in the days of primitive powerpoint (insert golf clap for alliteration! Teaching moment!) – and have sat through numerous presentations using slide #1 and it is torture to an audience member. Two years ago our assistant principal gave a powerpoint presentation using a stoic white backdrop that was flanked by default black text. Despite numerous misspellings, the powerpoint was a flop. A flop in the vein of The Love Guru. My point is that no matter what housing forum we use to share and embed our powerpoints, we need to understand that powerpoint is a tool for a presenter; it is not intended to replace the presenter. As teachers we must also employ this same method when presenting to our students. Many times we don’t practice what we preach and torture our students with text laden powerpoints that go on for days. The next time you create a powerpoint for your students, think about how it would feel to view the same powerpoint you just created. What effect will it have on learning? If you are just dictating notes via a powerpoint to usurp valuable class time, then simply give them a hand out or post the note filled powerpoint on your class wiki for students to view at home, take notes and then discuss the next day in class. This will surely save class time and your students will love you for it! I’m not saying that SlideShare will change the way we present, but it gives us an option to display the powerpoints we want, while providing a central location for viewing and sharing them. I hope this helps in your classroom and I always welcome feedback! Have you ever plugged in your flash drive into a laptop, opened a powerpoint presentation and it doesn’t work? Have your students ever done the same thing, and used technology downfall as an excuse to get out of presenting? Have you ever wanted to embed your powerpoint slides on a wiki to share with students and parents? If you answered yes to all of the above then I have your solution. 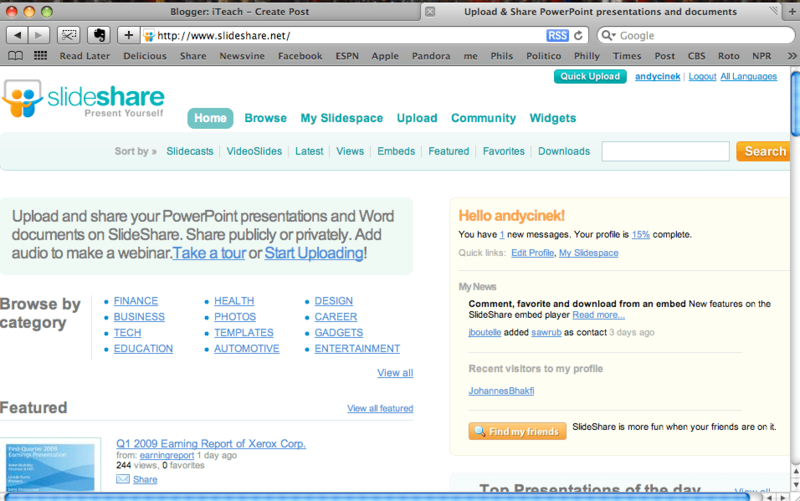 Slideshare is a site that allows users to upload, store and share powerpoint slide presentations. Slideshare gives you the ability to have your powerpoints at your disposal where ever you go and the best part is that it is totally free! Last year while I was teaching 1984, I utilized slideshare with my students who were presenting chapters of the novel to the class. I introduced them to slideshare and they were able to upload their presentations and then post them on our class wiki. If you reference my earlier post on wikis in the classroom, you will see that I had students maintain a daily log of their work on the presentations. They had to provide progress, group tasks and any documents they would be handing out during their presentation. Here are two of the examples that students used via slideshare. View more presentations from andycinek. You will notice that once the presentations are embedded into your blog or wiki, they allow you to utilize most of the functions that is alloted in a presentation program. Also, teachers can utilize this with all of their presentations they use in the classroom. You can even email them to students if they missed a class in which you gave a presentation. Slideshare is also useful for professional development classes and workshops. It is one way in which you can share your presentations and student work without having to locate, find and sync a flash drive. Students and colleagues alike can follow along with a slideshare presentation as well. If teachers embed their slideshare presentation to a blog or wiki, students and faculty can follow along on their laptops. This may assist students who have trouble following slides or if students wish to use the presentation as a study guide later in the unit. I hope you enjoyed this idea and would like to hear feedback about how you utilized slideshare in your own classroom! Evernote Will Organize Your Life! Enough about my ranting and on to the content for today! Go GREEN! Today I am presenting a wonderful web-clipping tool that both teachers and students can use in a variety of ways. The tool is called Evernote. Evernote can be downloaded on to MAC and Windows operating systems and is completely free. This can also be used on smart phones and the iPhone. Evernote allows you to gather clippings from various websites without having to bookmark every single site you enjoy. In short, you can select the text and photos that are of importance to you! So, let’s consider Evernotes practicality in the classroom. Think about students doing research. The teacher gives his or her students a credible, academically authored list of websites. This list can be posted on the class wiki or moodle in order to save all the future trees that will be planted tomorrow! Students review the sites and find a piece of information they really like on George Orwell. However, time is running out and for most students they would immediately select FILE > PRINT. And what prints out? The entire web page! (Insert old school Mr. Yuck sticker here!). The student takes the 15 pages that just printed out, stuffs it into a folder and forgets that good bit he or she was reading right before the sound of the bell. This is the old way. Let’s have our students try the new way! Using Evernote in the classroom is always a great way to help students understand the importance of a “Tag”. Provide students with a mini lesson on tagging and how it can save them time when conducting research. I hope this has been a valuable asset to your class and look forward to hearing how you use Evernote in your class! Where for art thou Twitter! I have been using Twitter for over a year. Since New Years 2009, Twitter has taken off to new heights. Everybody wants you to follow him or her on twitter, from United States Senators to Shaq, twitter has become a ubiquitous forum for those who want to know everything. Objective: Have students twitter between characters in a story from the previous nights reading. A twitter screen name for Jack and Piggy that reflects their character. NOTE: Entry can only be 140 characters long! Be specific and concise. LeaderJack: Looks like we are stranded! Fat kid is freaking out. I call him Piggy. TimidPiggy: There are no adults here! My Auntie says I should not go swimming because of my Asthma. LeaderJack: Piggy wants order. I blew the conch shell and we gathered everyone. LeaderJack: They elected me chief! Have students read their twitter posts out loud in class and explain why they selected their material. Segue this into a class discussion. Compare and contrast postings from other students. Students can make a twitter list for historical figures. Like the language arts example, students can glean the main points of a specific historical figure and use that to understand whom this historical figure is. For homework, assign students a historical figure based on the current unit of study. NOTE: you can also use this to personify Amendments, Bills, etc. i.e. what would the First Amendment twitter about? A screen name that represents the personality of the figure, Amendment or bill. NOTE: it will be the roles of your classmates to guess whom you are referring to based on your twitter information. Provide context and information pertinent to your subject. Students bring in their Twitter list and present it to the class. Students will try and figure out who is Twittering based on the information provided. This is a great idea for a unit review and students can use their “tweets” as a focused study guide. This activity would target secondary and middle school students. Objective: Have students create their own twitter account and follow a US or State Senator or Representative. Students find a US, State or local dignitary to follow on twitter. This could be a form of current events in the classroom. Recommendations: Make sure you alert administration, parents and your tech director before allowing students to participate on twitter. For math, teachers can use this tool very simply. Every night one student will tweet a selected math problem to the class. EXAMPLE: 32 + 43 = ? Students will have to answer the problem by the student posted for that night as an extension of the homework. NOTE: Based on grade level, you can make your tweets more challenging. I see this working well with more involved math such as Algebra, Trigonometry and Calculus. I have always felt twitter would be an effective tool for teacher collaboration. Imagine a world where your entire school building is on twitter. Your principal opens up his twitter account every morning and can see what you will be covering in your classroom today. Maybe something peeks his interest and he sends you a direct message to ask if he could drop in to see this lesson. Cool right? Unless you don’t care for your principal and feel that he or she serves a better purpose at his or her desk then in your classroom. Or imagine collaborating with other teachers on your own twitter account. Say you are covering Hamlet and a neighboring teacher is covering the same unit. You collaborate through twitter about what you are covering each day. Maybe even set up a web cast between your students where you can discuss Hamlet Act 1 Scene 1. The above examples are simple blueprints of what you can do within the parameters of a twitter post. And you thought only celebs and Senators could twitter! Pshawh! Also, check out TWEETDECK. It is a great forum to organize all of your tweets on your desktop! I hope these ideas peeked your interest and that you take leap and make twitter part of your classroom! I look forward to hearing your feedback and how you have used twitter in your classroom and school district! Every year, students receive a daily planner before the start of school. Depending on the grade level, some teachers will spend a day showing students how to effectively plan their week. For most, this is a practical tool that has worked for many years. However, it is also a tool that many students lose. What if it was impossible to lose your planner? What if it was always with you? We can improve this method by spending the time it takes to show our students how to use a daily planner and show them how to set up their own iGoogle page. An iGoogle page is a personal space that anyone can manipulate to reflect his or her personality, lifestyle and schedule. It short, it is the one page you can turn to each day and find out everything you want to know for that particular day. Last year (Spring Semester 2008) I piloted a new project that flattened my classroom and provided a consistent forum for information. 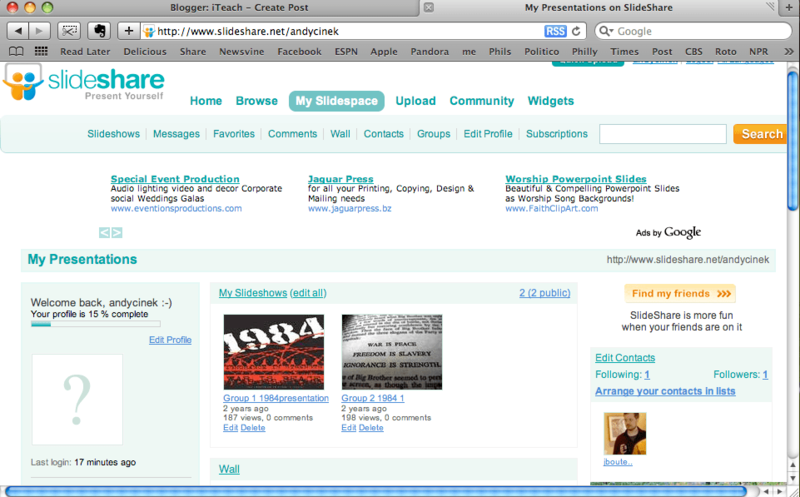 I set up a blog page that I controlled and my students could access directly through an RSS feed on their iGoogle page. The results were great! Here is how I set it up. On the first day of class I walked in and had all the students take out their daily planners that were handed to them by administration as they walked into the doors for their first day. I then did my best Robin Williams impersonation from Dead Poets Society, and asked them to hold them up and drop them on to the floor. Then I turned on the projector and showed them the future of daily planning. Here is how my presentation began. The students can add the blog to their iGoogle page and receive assignments, reminders and updates. Students can also comment on the blog if they have a question or concern. This forum is also used to organize. I am not one for papers and folders; I loose them! The blog and iGoogle page is especially helpful when a student is absent. Eureka! It worked! My students and their parents always had access to the classroom. Assignments could no longer get lost! They were now a constant in the lives of my students! (insert sinister teacher laugh). 1. Students, special education teachers and parents always had access to assignments. 2. Students could access assignments if they missed extended time in class and never fall behind. 3. Students could keep pace with class discussion threads on the blog page if they missed a class. 4. Parents could review assignments and even participate in the learning process. 5. A universal hub for students to access class information, news and anything they enjoy. 6. They could not lose it! 1. Use this as an icebreaker on the first day of class. Have students design and setup their own iGoogle page and present it to the class. Have them explain why they selected a specific theme and why they chose to read The Guardian news feed over the New York Times. 2. Create a rubric for the iGoogle page. Do not give students free reign on this idea. Make sure there are parameters for content they display. 3. Invite and consult with administration, technology directors and parents before going forward. NOTE: I plan on mentioning this recommendation every time I blog because it is so important to protect yourself, your students and your content before venturing out into the dense forest of the internet. If there is one thing students and teachers despise it’s clutter. One way teachers create clutter is asking students to print out a current event. Students print out weekly current events, read and summarize it, have it graded and then throw it out. I found more current events lying on my floor or in my trash than any other classroom document. Cringing already teachers? Fear not! I have a environmentally friendly solution that will surely net you Environmental Teacher of the Month. The process will not only cleanup your classroom and tag you as the “Green” teacher, but you will enhance the discussion and debate in your classroom. Students will be interested in what they read because they are engaging and collaborating with their peers through a threaded discussion. I have found that students speak volumes via the web based forum as opposed to the prompt and answer method. Think of the amount of content students send and receive from each other on facebook daily! Imagine if you could take this enthusiasm and translate into the academic arena. Let’s get students discussing the economic stimulus like they debate the relationship of…of…(insert popular “it” couple here). I found a way for Social Studies and Civics/Government teachers to replace the old printed paper current events with a practical web 2.0 solution! Here is a brief introduction to newsvine.com and how it can supplant paper current events. Hopefully these eloquently narrated videos will help you set up your class newsvine group. Students have an archive of current events to look back on throughout the semester. Teachers can design a rubric for the discussion forum and then quiz students on current events. Invite parents and administration to participate in the discussion. A great way of allowing parents to participate in the learning process. Students can lead the class in discussion and answer questions gleaned from the discussion thread. Create a debate session based off current event discussion. Become familiar with the newsvine site before you start using it in your classroom. Take time to instruct students on how to properly utilize this site and provide a handout on your class wiki or moodle for reference. Make sure you set your classroom group to private before going forward. Create a teacher made rubric that covers all of the content you want to assess on the site. Many times students get online and forget about spelling, grammar and providing acceptable academic content. Consult Administration, Technology director and parents before creating this forum. Invite all the members of #5 to join in and even participate in the online group discussion forum. Enjoy the idea of saving trees and limiting the use of paper (CLUTTER) in your classroom! Rethinking current events via http://www.newsvine.com! Since it is a holiday weekend for most, I thought I would take a break from eating chocolate and jelly beans…mmmmmm jelly beans and make two videos on how I utilized my wikispace in the classroom. In my classroom, I found my wikispaces to be a great source of collaboration and student engagement beyond the classroom. Students were always connected to the classroom – which they hated – and rarely had and excuse for not knowing about an assignments. Plus, as a teacher, it helped with my organization. Gone were the days of file cabinets and manilla folders!!! Classroom wikis are free and easy to set up even for those who don’t describe themselves as “tech savvy”. It also works as a forum in which parents can look in on the classroom and keep up to date with student progress. I made sure to set up my wiki as private and allowed access through teacher invite only. Before I started this wiki, I consulted with my administration, technology director and parents. Anytime you venture into the “Interweb” (as my parents like to call it) it is good to cover your bases with the higher powers. I also invited all of my parents to join the wiki. This was partially done through back to school night. Parents would sign in with their name, student name and e-mail. I then explained to them what a wiki is and how we would be using it in the classroom. Parents were very receptive to this idea and loved having a consistent stream of classroom updates. For my students and parents I first showed them a common craft video that simply explained a wiki. HOW CAN WE USE THIS IN A CLASSROOM? WHAT ARE THE BENEFITS OF A WIKI? WHAT ARE THE NEGATIVE ASPECTS OF A WIKI? AND HOW COULD WE IMPROVE THEM? HOW COULD YOU USE A WIKI OUTSIDE OF THE CLASSROOM? Students provided great responses that generated a lengthy class discussion. I then modeled the basic elements of a wiki and provided a screenshot hand out that I made for them to reference in the early stages of accessing, using and posting on the wiki. Overall it was a success! Set aside at least one or two class periods for initial wiki introduction and set up. It may seem like you are distracting from teaching, but will benefit in the long run. Include Parents in the wiki!! Here are two videos that I made through the use of JING and screencast.com. These are two great free resources – that allow upgrades to pro accounts – for any classroom. 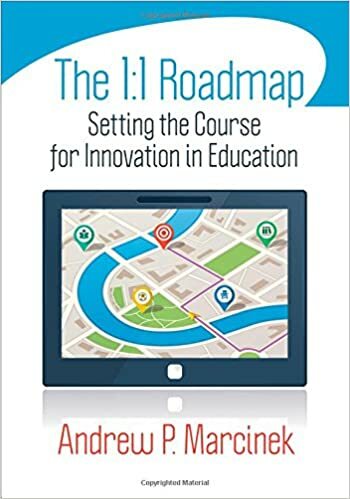 Get a copy of The 1:1 Roadmap: Setting the course for innovation in education today!